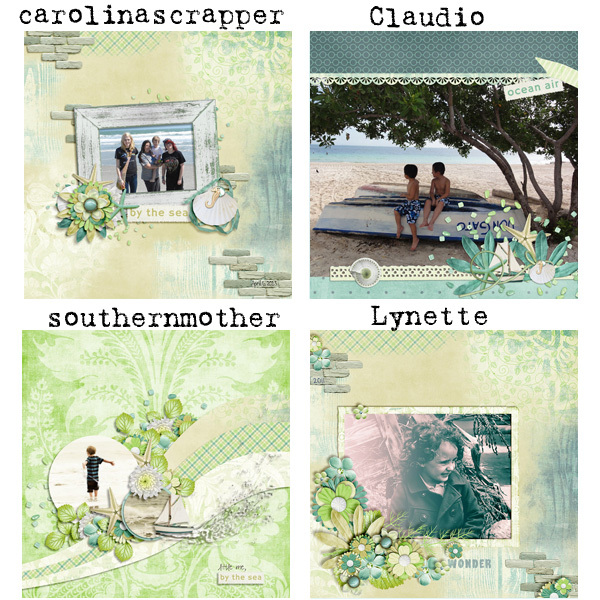 designsbyambershaw: New Release..."Serenity Beach Cottage"
Time again for this month's Pickle Barrel release. If you're new to Pickleberry Pop, each month they choose a color palette, then all the designers use the same colors to create unique kits. They separate those kits into smaller pieces, and sell them for a $1 each. You can mix and match designers' creations to make your own creative mega-kit. How much fun is that? Now a chance to see Amber's beautiful design: "Serenity Beach Cottage"--a lovely seaside kit with soft, relaxing colors and wonderful word art and elements. Take a look. Absolutely the most relaxing kit I've seen in a long time. "Serenity" describes it perfectly. Click on each of the pieces to go to Amber's store and begin shopping. Remember, these pieces are just $1 each, but only for a short time, so don't wait! Before I leave you to your scrapping, I want to say that I think I speak for all of us when I say that we are praying for our neighbors in the Boston area, no matter where in the world we each live. Many prayers for comfort and healing for all those affected by the awful events this week.